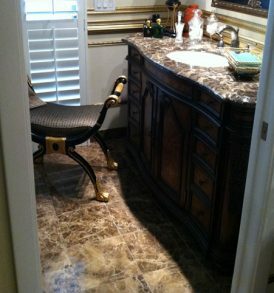 This selection is our 12×24 marble tile. The light colors make it ideal for brightening up a space like a Lanai or Garden walkway or it can be a beautiful muted color for a deck or patio. The tumbled edge makes it durable and smooth yet still providing enough grip to prevent sip and falls.